Discussion in 'Asian Horror and Other Pleasures' started by Paff, Nov 11, 2018. I saw this last night at an Asian Film Festival. Normally I'm not a big fan of horror comedy; I think too many times the filmmakers are trying to create camp, the next Plan 9. That has to happen organically. OR, they are disrespecting the genre. 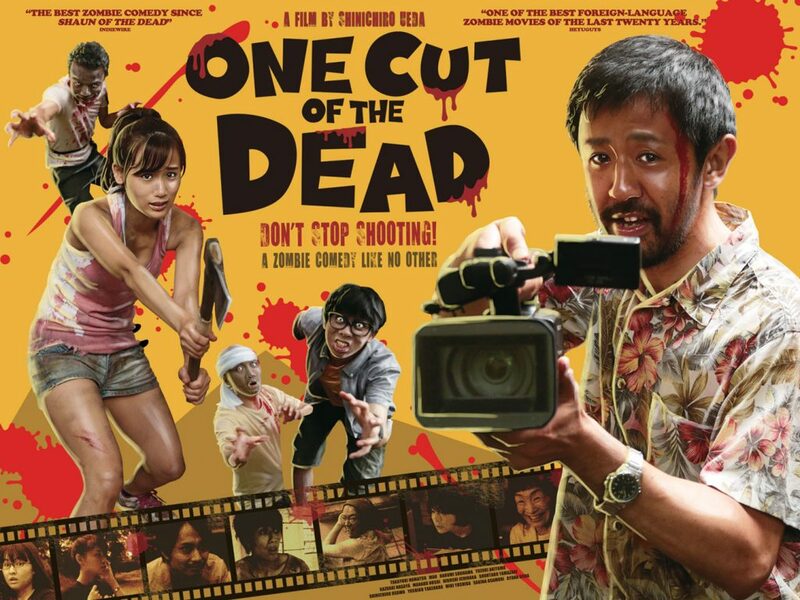 One Cut of the Dead is that rare horror comedy that works. It's a single shot film of a crew making a horror film, until they're beset by an actual zombie invasion. It's SO much more than that, but to say any more would spoil the surprise. I'll just say it's the best film about filmmaking since Brigsby Bear. I don't know what American distribution plans are, whether it will be theatrical or only on video, but do yourself a favor and see it any way you can. Oh, and "Pom!" Workshed, Colin and russweiss like this. Winner, Audience Award at the 2018 San Diego Asian Film Festival. Pom! Not my thing, but apparently this was added to Amazon Prime, and the filmmakers are freaking out because Amazon did not have authorization to release it. They're saying the US release is now compromised. I'm surprised you say it's "not your thing", since I believe you were a big fan of Brigsby Bear. I loved Brigsby Bear, but I'm kind of burned out on zombies and I find long take gimmicks (Haunting Of Hill House, Silent House, etc) extremely annoying and distracting. I'm also not big on Asian cinema in general. If it turns up back on Prime or another streaming service, I might give it a try. That's really interesting about the bootlegging onto Amazon Prime. I'm wondering where it came from? The fact that the subtitles were altered with racial stereotypes makes me think someone was able to rip a theatrical DCP, and get the subtitle file. I doubt it was from an unsubbed copy where they added their own, because if it was it would require excellent knowledge of Japanese and I doubt that someone with that much knowledge of the language would then disrespect those who speak it. As for the film itself, I don't think that being burned out on zombies would hinder one's enjoyment of it. If anything, it might enhance it. HOWEVER, I will say that the humor in the film can be very Japanese at times, and if you're not into that style of humor you very well might not appreciate it. I'm talking about the "manic", for want of a better word, style. Things like people being attacked by zombies, only to have the director (of the film within the film) jam a camera into the attack and yelling "ACTION!!!! ", or of course the oh-so-important "POM!" (which got a laugh out of the audience every time). But I'm really impressed that it only had a $27000 budget! I got the UK release of this and despite what it says, it is indeed region-free, for anyone curious about the film. US remake coming, instead of just releasing the original. Ugh.